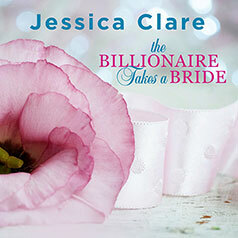 A lie turns to love in the latest novel from the New York Times bestselling author of The Taming of the Billionaire. Contains mature themes. Billionaire Sebastian Cabral loves his family; he just doesn't love their reality TV show, The Cabral Empire. So when his ex-girlfriend tries to rekindle their relationship on camera, Sebastian decides that drastic measures are in order. By day, Chelsea Hall is a happy-go-lucky, rough-and-tumble roller derby skater. By night, she's still living in fear of her past. Most of all, she just doesn't want to be alone. And she really, really doesn't want to date. So when their mutual friends' upcoming wedding turns Chelsea and Sebastian into fast friends, they realize that they can solve both of their problems with one life-changing lie: a quick trip down the aisle. But with one kiss, Chelsea and Sebastian suddenly realize that their pretend relationship is more real than either of them expected.